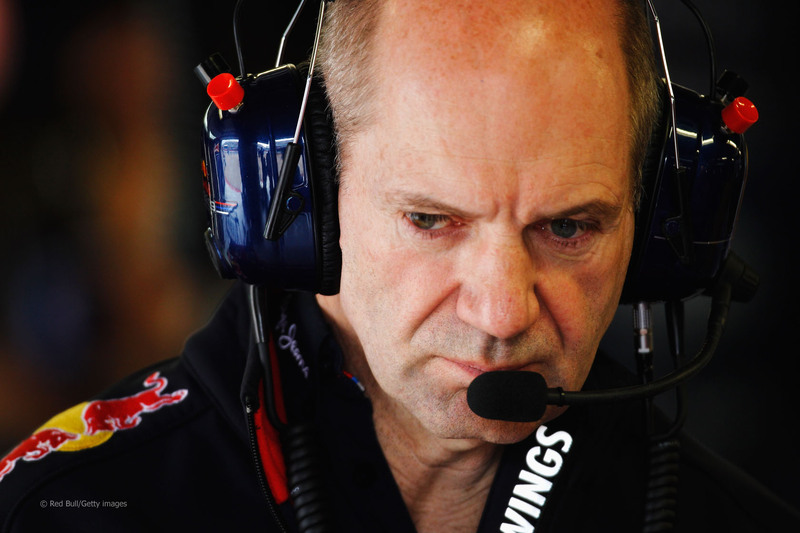 Adrian Newey, the most successful design engineer in F1 history. Newey who is unenamoured with the tightly controlled regulations currently in force in F1, believes they are so constrictive that, “the regulations design the cars.” Even as recently as two races ago in Germany the FIA outlawed FRICS, a front and rear interconnected hydraulic/mechanical suspension system which some teams had been using since 2010. So disappointed is Newey with F1 he is stepping back from hands-on involvement at the end of the season with the Red Bull Racing F1 team. He has signed a new deal, where from next year he will be involved in Red Bull Technologies special projects, one of which is believed to be Britain’s America’s Cup challenger. Newey, of course, has always had an uncanny ability to exploit the “grey” areas of the regulations on his way to designing F1 cars for the Red Bull team that have won four constructors and four drivers world championships between 2010-2113. 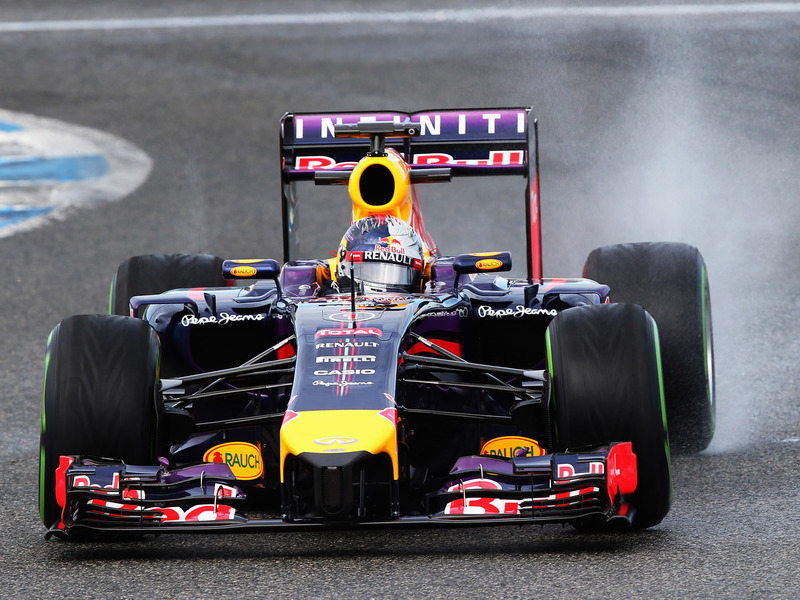 Four-time World Champion Sebastian Vettel in the RB10. We now have a situation in MotoGP where, just as in F1, there are colour coded control tyres, a freeze on engine development for the “factory” machines during the season and a limit on the number engines available. Which for 2014 can only consume a meagre 20 litres of fuel per Grand Prix. In 2016 it will also be mandatory for all the MotoGP teams to use a Dorna supplied ECU and software. 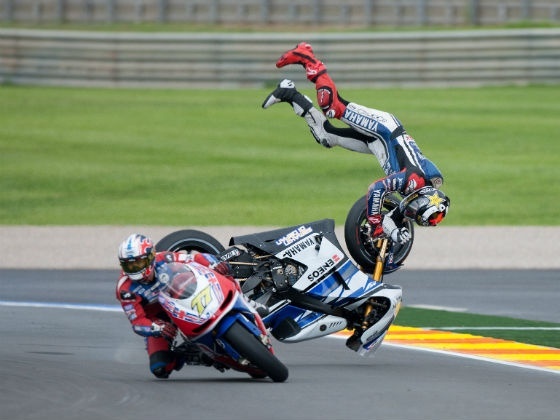 One significant difference, however, is the use of traction control in MotoGP. Banned initially in F1 in 1994 and backed up with the introduction of a standard FIA ECU in 2008, some MotoGP riders and a proportion of the fans are against these electronics as well, as it’s seen as an artificial enhancement of a rider’s ability. But it is also a concession by Dorna to maintain motorcycle manufacturer involvement, who have to justify the enormous expenditure required to go Grand Prix motorcycle racing and who have traditionally seen MotoGP as part of their research and development programs that filters new technology down to their road bikes. 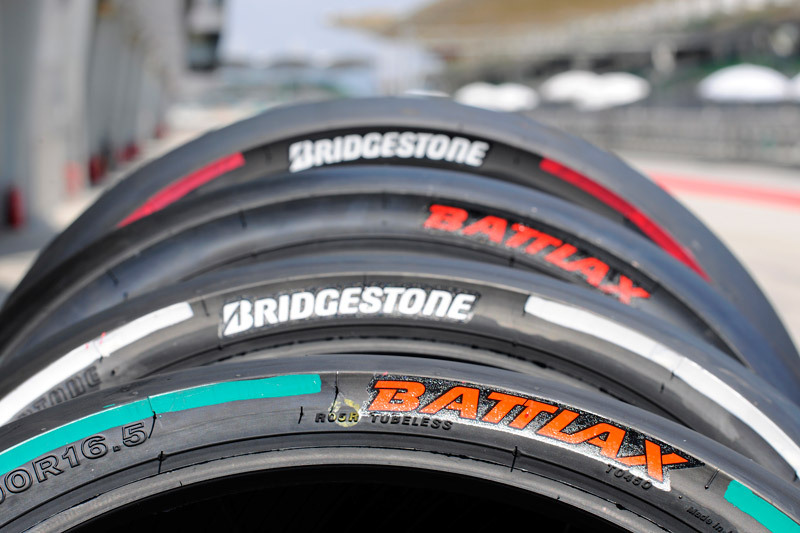 F1 like colour coding of MotoGP tyres. However, regardless of electronic rider aids and constrictive regulations, MotoGP racers by the very nature of motorcycle design are themselves “part of the machine”. Where they place their body weight under braking or going around a corner and accelerating out of a corner has a significant impact on lap times. Indeed MotoGP racers use everything available to them to go as fast as they can, carving angles of lean through bends that defy the laws of physics, and dragging not just their knees but also their elbows on the tarmac. They also, thankfully, have no radio hookups with the pits and a team of technicians reading telemetry telling them what to do, only pit boards and their own judgment for tactical use of their fuel and tyre consumption over the course of a race. Jorge Lorenzo becomes airborne trying to avoid backmarker James Ellison. This entry was posted in Motoracing, Motorcycle Racing and tagged Adrian Newey, Bernie Ecclestone, Carmelo Ezpeleta, Dorna, Formula 1, Grand Prix motorcycle racing, MotoGp, Red Bull, Red Bull Racing F1, Traction control on 31/07/2014 by Geoff Dawes.